Any company that uses a tagline “Cool By Design” better have some great products to back them up. For years, The Modern Fan Company has done just that – producing sleek, contemporary fans that fit well in any décor. The first thing to understand is the difference between “outdoor lanterns” and “landscape lighting.” Outdoor lanterns are highly decorative visual elements designed to coordinate with the architectural style of your home. They are made to be seen. As a result, outdoor lantern designs run the gamut from traditional wrought-iron to highly polished contemporary styles. Outdoor lanterns can be hung from porch ceilings, installed on posts or columns, and are most often installed near entryways and garage doors. Outdoor lanterns are the jewelry that provides a first impression about your home. That depends on the areas that need to be addressed and the lighting effects you want to create. I like to hang fixtures in trees to create the feeling of moonlight and then add path lights wherever needed to illuminate steps or directional changes. Depending on your taste, you may want also want to try techniques like “up lighting” trees, “wall grazing” an interesting texture such as stone walls, or “silhouetting” intriguing landscape features. Please click here to schedule your appointment today! The kitchen is the primary living space in the home. When designing lighting for the kitchen, it’s important to take into account many different activities. Bright overall light is necessary for food preparation; intense light is best for specialized task areas, while ambient light is pleasurable for entertaining. We also address any needs for lighting controls and whether or not a decorative light fixture is required to carry through a design theme. A client of mine came to me with a typical LED challenge. She had pendants over her sink, recessed lights in the ceiling, under cabinet lights and a chandelier over her table. When she had all of these fixtures on at the same time, she noticed that the quality of light varied from each fixture. She noticed that when she dimmed the recessed lights, there was no shift in color, while the new LED lamp (bulb) did not provide the warm glow she was used to. I explained to her that not all LED lamps (bulbs) have the same characteristics. The bulbs may have had the same Kelvin temperature on the box, but Kelvin temperature can vary a +/- from one manufacturer to another. There is also the factor of the Color Rendering Index (CRI), which is so very important and often is overlooked by the consumer. As for the issues my client experienced with dimming, I recommended a Warm Dim LED bulb, which actually has built-in technology so that, when you dim it, the color shifts to a more amber spectrum, creating the warm fuzzy feeling that we know and expect when the lights are dimmed. LED technology is changing every day so beware! 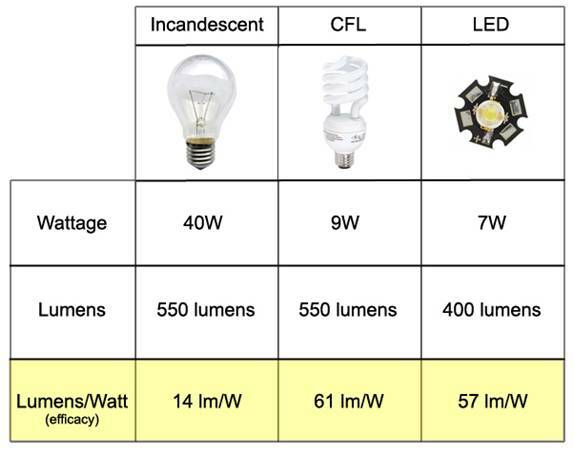 Not all LED bulbs perform in the same way. They do not all dim in the traditional way we expect. They are not suitable for enclosed fixtures and damp locations. You can buy any LED bulb and think it will be perfect – but will discover otherwise. help you to make informed lighting decisions. Lighting is important. It can set a mood, illuminate a task area, and create a welcoming environment for entertaining friends and family. In the midst of one of the biggest holiday weeks of the year, are you looking around your home and thinking that there’s still some room for improvement? Make your next gathering better than the last by revamping your lighting strategy! The saying “you only get one chance to make a first impression” can certainly be applied to your home’s entrance. Test out your fixtures to make sure it’s safe for guests on a walkway, and check if lighting is sufficient by steps or stones. Adding a strong, but not overpowering, feature light at your front door acts as a beacon to guests welcoming them to your home. Chances are, you will be entertaining and serving a meal in the dining room. A chandelier, often the focal point, can also enhance the mood. You can alter the feel of an existing chandelier by swapping out the shades or switching to decorative specialty bulbs. Lower wattage can help set the mood. If a change is in order, selecting the proper size chandelier for your room is essential and don’t forget the matching sconces for the perimeter. Bottom line: A nice, soft light adds warmth and intimacy to the dining experience. Make areas where the majority of guests congregate well-lit. Since most of the action happens in the kitchen, you want to be able to see what you’re doing! Bright and efficient task lights will not only help you, but also any guests helping themselves or lending a hand. For a festive party-like atmosphere, use accent lighting for areas of interest. Focus attention on a side table with appetizers, a board game table or bar area. Keep it simple: If you are looking to highlight something for guests or show off seasonal items (like a Christmas tree or menorah), concentrate on lighting these focal points with a spot light or mantle light. Layering light, using ambient (general), task and accent light sources, will offer greater flexibility. And don’t forget, with a dimmer, you can adjust the intensity of the light to match the changing tone and mood of your gathering. Remember: The best lighting strategy is having good company to enjoy it with! If you would like to update your home’s lighting strategy, contact us to speak with a Wolfers lighting expert.